I think it would be helpful if some of the more experienced shooters here were to write up a list of suggestions for someone who wants to buy a 1911 gun for Bullseye Shooting. This could describe the most important features, and maybe include examples of suitable guns (assuming there still are guns like this being made for sale in 2017). It might also include recommendations of which guns might be better, if they needed to be sent off to a gunsmith for more work. If someone asked me today, this is the only gun I know of to recommend, and I don't know enough to say how it compares to other guns that may be available. Actually somewhat of a rip-off by Colt. Basically a glorified govt model with adjustable sights. You're still further ahead with a S.A R.O and sending it to any number of Smith's found recommended on this site. New made Gold Cup pistols are not up to what they used to be 50 years ago. I have a 1963 GC that I shot the first half of my Leg Points. It grouped from the Ransom 2-2.5" with my Hardball load. (4.8 Titegroup) I finished my Points with a Roddy made Baer. But even a 1963 GC is likely not the same as a current hand tuned gun by Jon, Roddy, and others. New Gold Cups are not BE worthy. SA RO like Jim said us better shooting pistol. Really doesn't take much. On a budget you can have stock Colt barrel welded and refit. Trigger job and adj. sights or scope rib added. One of my prouder achievements was shooting Colt 1991A1 with welded barrel, new bushing and peened frame rails with a grip mount. Shot 880 CF & 881 45 match. Cheapest gun on the line. Had 2642 (borrowed Ruger MKII). So it doesn't require arm & leg to get into BE. Apparently nobody is currently selling a 1911 that can be purchased, and would be suitable for Bullseye? Not even the "big names" in the industry, Wilson and others? Congrats on what you did, but I suspect the results were far more do to you than to the gun? As stated above and in many threads on this site the Springfield Arms Range Officer (S.A.R.O.) has been identified as a great value for a beginner. Good solid shooter out of the box and with just a few tune ups it will take you to Master if you do your part. MSRP is $945 but it can be purchased for approx. $700 if you do your homework. If you do a search you will find what you may need to modify. "Welded barrel" - Adding new metal build-up to re-machine/re-fit in one or more critical barrel fit areas. Actually, the thread was trying to ask about what gun somebody could buy, and start shooting Bullseye right out of the box. By the time a person knows enough to want to send a gun off for extra work, he will probably know a lot more about Bullseye, and if he comes here, he'll read about those many threads on the R.O. I know very few people personally (I think just one) who is actually competing in official Bullseye events, and I know a lot of people who are trying to get better at shooting holes in paper targets. That's the kind of person I had in mind. Most of these people could go into a shop, or online, and order one. Ed Brown, Wilson, Les Baer, Dan Wesson, and STI (and others) make guns that seem to me to be suitable (at a much higher price). I'm surprised nobody is mentioning them. I think there are a lot of older people who would rather pay more up front, than buy something and wait a year or two until they get it back from the gunsmith. If someone asked me the question I'm asking you guys, I'd probably suggest good adjustable sights, a full length barrel, a plain metal front sight, nothing fancy, no need for any special options to speed up magazine changes, and if they are readily available, some way to mount a red dot sight. It would need to come from some manufacture that already provides a good trigger, but that might need to get worked on anyway. I'm already wrong about one thing for sure - I would have thought the Colt Gold Cup to be a decent starting point, and S&W makes what they call a competition 1911 for a higher price. If you guys are right, apparently there is nothing available over the counter that is appropriate, without getting modifications done to it. I didn't realize that. I've mentioned elsewhere that I shot Expert scores and earned EIC points with an out of the box Springfield Range Officer. It took a few years but the gun was never an issue. I paid around $750 for it new. Other than the obvious barrel quality/fit and decent trigger I think the target sights that come on the RO are excellent and in my opinion make it an obvious choice. Used Bullseye 1911 in whatever flavor you want (wad or hardball) from a reputable Smith. New or lightly used 1911 Government made by SA or Colt so you can send it off to a reputable Smith for build. SARO or other custom from either SA or RRA. A couple years ago, I shot next to a young Air Force team member who did quite well with a stock Springfield Range Officer. The older Kimber pistols were not terrible either. I shot a 90 slow fire with a stock Kimber Custom Target. It was a pre-series II, had internal extractor and no firing pin safety. I suppose they come up on GunBroker occasionally. You didn't mention a budget for this pistol. If money's no object, you could order an Accuracy X. Rock River Arms also makes a good gun. Les Baer may not be the end-all, but they will get you into master class, and Champions Choice usually has some in stock. The best option is to commission a build from a bullseye smith, next best option is a used gun from one of those same bullseye gun smiths... now that is not in everyone's budget. You can do just fine with a stock gun and sent off to a bullseye smith to tighten it up and add a new barrel, scope mount(if you want to go optics), adjustable iron sights, and a trigger job. I started with a new Les Baer wad gun frame mount ($1,900) plus optic ($250). I shot the crisp trigger for a while but then upgraded to a KC roll trigger drop in kit ($200). Total $2,350 it would be over $2,600 today. You can shoot a Springfield Range officer for approx $750-$800 right out of the box (with iron sights**) and probably make Sharpshooter or Expert. If your stock RO shoots sub 3" groups (many do) and has a decent trigger you could possible even make Master. There is a point if you are really getting into the sport where you need to make certain the hardware keeps up with your abilities. This is where a good Bullseye Gunsmith comes in. When you have to decide how to get a tighter grouping gun and better trigger. #3 usually means you put money into your RO while you wait for your new gun. **If your eyes dictate the need for optics add $400 to $1,000 to the cost of the RO depending on the hardware you pick. FYI Turns out the New RO's do not have the ILS mainspring housing so that expense is gone, unless you live in CA then your stuck with it. The advice I usually give new Bullseye shooters who are on a budget (or on the fence whether to jump into Bullseye) is to get a full size.45 ACP Range Officer and a Unit 1 Marvel or Nelson conversion with open sights. As I'm sure you've seen elsewhere, stock Range Officers typically produce 10 ring accuracy or better but usually need a trigger job and maybe a new bushing. If money is no object, you can buy better performance but at the RO price point it's hard to beat. For those who choose/prefer to shoot the 1911 platform and want to improve their marksmanship, I would argue the Marvel/Nelson .22 conversions are the best place to start. The one important fact is that there is a classification program so that the new shooter can compete against those that shoot in the same category. Therefore there is no need for a new shooter to purchase the best available to compete. A new shooter should avoid the hype that many gun makers advertise. Something like the RO Elite Target is a waste of money, what good is an ambidextrous safety in Bullseye? The standard RO is a fine base to start with and as the shooter get better he can have the gun up-graded by a good smith. But as Jon pointed out there is other options. Floyd Aikman made many tack drivers from GI spare parts. Most good bullseye gun smiths can make a good shooter without getting the top name components. If the shooter has deep pockets then buy the top of the line but it's not necessary to get a second mortgage to shoot Bullseye and that's what makes the sport so popular. Reasonably accurate and reliable guns are all that needed, accuracy is more important in training in that it will give the shooter a reliable indication of how he preformed the fundamentals needed to shoot good. mikemyers wrote: Actually, the thread was trying to ask about what gun somebody could buy, and start shooting Bullseye right out of the box. By the time a person knows enough to want to send a gun off for extra work, he will probably know a lot more about Bullseye, and if he comes here, he'll read about those many threads on the R.O. I think most people didn't mention guns you can start out with out of the box because most shooters move up or end up having them rebuilt by a bullseye gunsmith eventually. So if someone wants to start with an off-the-shelf gun they just need to have the right expectations. 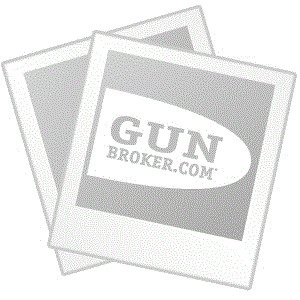 It may shoot well, but most likely won't go head to head with a custom gun from a bullseye gunsmith. Rock River Arms, Les Bauer (many disagree and will say to avoid them, but others have had good performance with them), Springfield Range Officer, and I would add some of the higher end Sig Sauer 1911's. A buddy of mine uses his Sig custom 1911 for CMP Service Pistol matches and the only thing he has done to it is add a KC roll trigger. It won't shoot as well as a full custom from a bullseye smith, but he's OK with that and shoots well with it. Someone also mentioned AccuracyX, those are really great guns for bullseye and I would say would be ready out of the box. They are quite pricey but probably worth it. I wouldn't consider Wilson for bullseye; they are great defense/carry guns and look great but to turn them into bullseye guns would cost as much as any other 1911 and the Wilsons are already expensive. Most of the 1911's from big manufacturers that are described as competition guns are geared more towards IDPA/Action Shooting competitions than bullseye. If someone were to get a stock 1911, one of the things to add to it that you asked about may also be a semi drop-in match barrel. If someone can't afford to send off their gun for a full build a semi drop-in usually doesn't require fitting, but a fitted bushing would be best with it. I've used KKM semi drop-in barrels in one of my Berettas and was very impressed with it. Thanks, but this thread was started more so to gather a lot of information in one place, than for me to buy a Bullseye Gun. Linda Dillon at the club I go to found me a used Les Baer, and that's what I'm using now - but I'm shooting two handed, so technically I'm not really shooting Bullseye. For me, lots of surprising information here. From all the responses posted so far, the "computer" somewhere in the back of my head has picked up on the idea that a lot of people here like the Range Officer. It's reasonably priced, and readily available. I was surprised to see a recommendation of getting the basic model, not the Elite, but after reading the reasons for that, it makes sense. When I posted this, I had no intention of buying yet another gun, but I'm very tempted to buy one of these anyway, use it as-is as long as possible, and if I think it will help me, maybe start with the "drop in rolling trigger" that was referred to (which I know nothing about). There's another thing - the best I can shoot right now at 25 yards is a four inch grouping. It might be good for me, but I doubt it's even remotely good in a real competition. Speaking of which, I'd need to start shooting one handed too. If I had Jon make me the most excellent bullseye gun imaginable, I'd be as close to using its potential as if I sat down in an F1 race car and attempted to get around the track. The weakest link in my own "chain" is still me. I suspect that for every person posting here, there are 20 to 100 who are just reading. I see SO many people at the range who are lucky to just hit the target backing, let alone the bull. I think many of them will find this information useful - along with the idea that you can get started for well under $1,000. I think I'll post a link to this thread in a few appropriate places. From Springfield's website regarding the Range Officer Elite: "Forged steel match grade frame and slide are precision-fit for fluid-smooth function"
If Springfield's marketing is correct, then it may be worth it for the better frame/slide fitment. The average price difference seems to be around $150 or so. You would still have to change out to a black front sight, and I have yet to actually see one in person. Food for thought as they say. 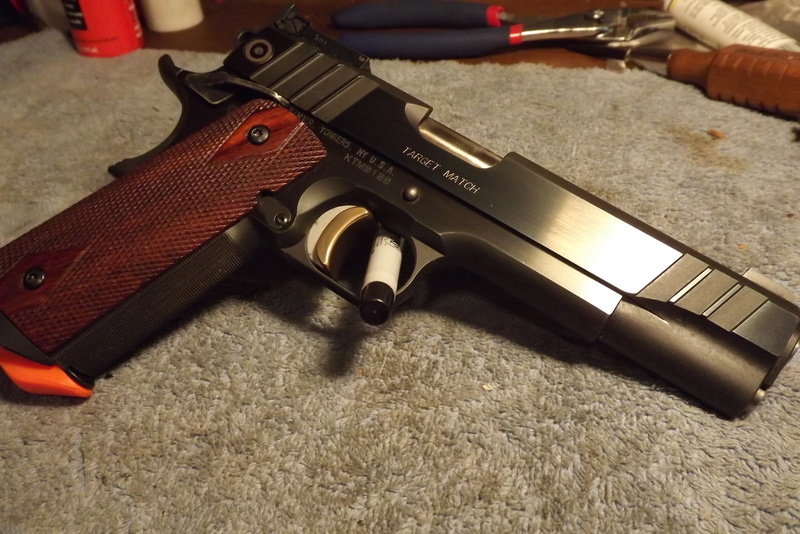 What makes a 1911 suitable for Bullseye Shooting? Whats the best 1911 for a new shooter to get? Put those 2 things together and then the answer will be clear. While this seems to be a technical question, it really has issues in other areas that makes a this or that answer almost impossible to implement, even if it is technically correct. That's because there is a person involved making the actual decision. Now, to put this in perspective, no matter what is recommended or would turn out the be the best, a new shooter will not choose it the first time (except by chance, but I've never seen it happen in +20 years). Bullseye is not a sport that anyone should buy expensive equipment first, then learn, then decide if they love it enough to continue. In general, one should first decide if it is the sport for the person that they are, not the person they think they are. Really good bullseye equipment is generally expensive compared to a Glock. But a shooter does not need expensive to determine if this is the sport for them. Since most (99.999999%) do not know if they love the sport; they will hesitate at putting the capital up for a really good bullseye gun (1911 or otherwise). They will get something almost as good, cheaper, what someone else said, marketing hype or flavor of the day. Those that do have the capital, well, you can't buy bigger rings on the target, so it takes commitment and enjoyment to participate and continue. Occasionally, even these 2 overlap, but in general this path makes one look at the mirror of ability very quickly and a lot of people turn away at this point too. So the recommendation from your "Drunken Uncle" giving you some advise over a beer or 12 is to get a good .22 and see if you love the sport. If you do, then commitment will exist, money will be no object and you will know a lot more about what makes a 1911 suitable for bullseye shooting for you. I think Cecil drove the nail home with one hit on this one. It has taken more effort to stay with whis than I ever envisioned. Very glad I did.